The Third Committee of the UN General Assembly adopted a resolution on November 15, condemning the Iranian regime’s systematic human rights violations. The censure goes next to the UN General Assembly for a vote in December. The regime’s record of severe abuse stretches back over decades. During Iran’s “summer of blood” in 1988, Supreme Leader Ayatollah Ruhollah Khomeini launched a campaign to wipe out the opposition, ordering the execution of leftists and members of the principal opposition movement, the Mujahedin-e Khalq (PMOI/MEK). Over a period of just five months, some 30,000 Iranians were slaughtered. 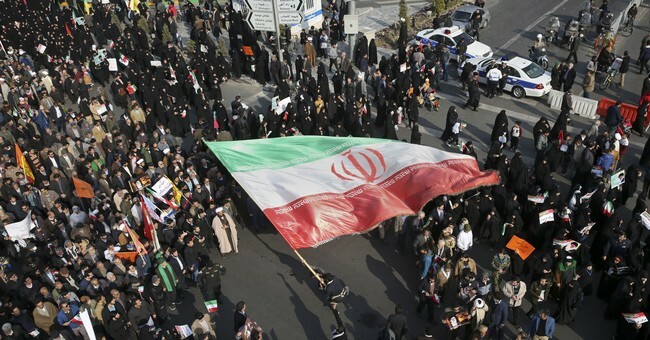 The UN experts were referring to the violent repression of demonstrators in the protests which have enveloped hundreds of cities in all of Iran’s 31 provinces since December 2017. Acts of protest and strikes have been unprecedented in scale, demands, courage, and persistence. For example, over 500,000 truck drivers angry over rising prices for spare parts and demanding better working conditions, staged four separate rounds of massive nationwide strikes in over 300 cities. Teachers, workers, merchants, students, nurses, defrauded investors, farmers, and other social sectors have staged multiple demonstrations against the regime as recently as last week. Economic hardships are also fueling unrest. The value of Iran’s national currency has dropped by 70% since last year, unemployment and inflation are in the double digits, and even the regime’s own officials acknowledge that the ranks of the poor are swelling. The regime apparatus is itself under intense pressure after the imposition of a second round of sanctions targeting oil exports and access to the international financial system. The protestors are targeting the regime in its entirety, not just its factions. “Reformer, hardliner, the game is now over,” has become a popular chant, indicating that the people are overwhelmingly demanding fundamental democratic change. In response, the mullahs have once again turned their wrath toward the opposition, resorting to suppression at home to fend off the daily challenges to their rule, arresting, imprisoning, torturing, and executing dissidents in Iran, many of whom have staged hunger strikes in a solid show of resistance. In addition, Tehran has shown a strong proclivity to conduct major acts of terrorism abroad. This year at least three major plots were uncovered against the opposition MEK alone. The first, in March, was in Albania, where thousands of MEK members reside. Albanian authorities arrested agents of the regime trying to bomb a New Year’s gathering in Tirana. In June, another plot was exposed in France. A regime “diplomat” in Austria was arrested and later extradited to Belgium where he will be tried for organizing a cell to bomb a major gathering of the opposition in Paris of tens of thousands of Iranians and dozens of U.S. VIPs, including former NYC mayor Rudy Giuliani. And finally, in August, two regime agents were arrested by the FBI in the U.S. Their indictments reveal them to be professional intelligence operatives who were trying to identify and assassinate officials of the National Council of Resistance of Iran (NCRI) in Washington, D.C. In lockstep with its terrorist plots, the regime has also stepped up its demonization and vilification campaigns. In September, Twitter closed hundreds of accounts tied to Iran regime bots spreading misinformation against the MEK and NCRI. Other data released by Twitter shows that anti-MEK tweets by the regime's intelligence agents in 2018 jumped to a total that was six times higher than the previous six years combined. More recently, Tehran has employed the services of pseudo-journalists working for the pro-engagement western media outlets and so-called analysts to spread lies and misinformation, which have been debunked time and again. Despite such efforts to sever the growing relationship between the protestors in Iran and the MEK, the movement's organizational prowess is growing. MEK "resistance units" made up of young women and men across Iran, organize and guide the uprisings, ensuring the persistence and expansion of the protests. The international community cannot remain nonaligned. It is time to side with the Iranian people in their quest for democracy and a brighter future. The case of the regime’s growing human rights violations must be referred to the UN Security Council for urgent action. This would be the clearest sign yet that the international community supports the Iranian people’s right to resist a tyrannical regime that systematically violates their human rights.